Chocolate! Strawberry! Vanilla! Black current! Two-in-one! There are some of the popular flavors available at an ice cream store near you. People of all ages love to enjoy the amazing taste of their favorite on a hot summer day. In fact, true ice cream lovers say that it is an appropriate sweet treat for all seasons. No Indian occasion will be complete without a bowl of ice cream at the end of a hearty meal. An object that has so much demand in the market must have the potential to be a lucrative business proposition. How to make ice cream in factories? Planning and market research – You need some preparation before stepping on this turf. Formation and market research go hand in hand. Market research will offer details, and preparation will help to use the data accordingly. These will help to locate your target clients, funding, business type and location. Arrange funds for the business – In order to start an ice cream business, you will need sufficient funds. It will pay for the location, shop or truck, supplies and equipment. In case you do not have the money, banks will come to your rescue. The amount of money you need will depend on several factors. Ice cream truck or parlor – You can either opt for book a shop or get an ice cream truck. The first option will need more capital, while the second is less capital intensive. Attain necessary licenses – Whether you want an ice cream shop or truck, you must get all necessary permits to stay away from legal problems. Select a proper location – Location plays a vital role boosting the profits. In case you want to operate from a fixed store, then you need to get a place that has high footfall. Malls, markets, and areas near schools/colleges are appropriate. If you have an ice cream cart or truck, then you have flexibility in this aspect. Adding all ingredients – Ice cream making is all about adding the right amount of ingredients. If the proportions are not correct, then you will not get the creamy texture, taste, and consistency. Thus, you need to measure and pour all ingredients in the ice cream machine. Churning them in the blender – Once all the ingredients are poured in the machine, it is time to turn on the blender. The ice cream machine will need some time to churn and blend the ingredients. This duration depends on the amount of ingredients. Churning continues – The mixture needs to be churned in the machine, at low temperature for several hours. Then the flavor is added, and the mixture is allowed to churn for the whole night. Setting at low temperature – Once the mixture has reached the right consistency, it is allowed to set at low temperatures. This helps the ice cream to freeze and set for packaging. Pack the ice creams properly – If you have a franchise, then the original company will provide with packaging. In case you are selling under your own brand name, then you need to contact proper wrapper manufacturers. Interesting packaging will attract the attention of the customers. Preserve them for long time – The ice cream will stay fresh as long as you have proper freezers and coolers. In most Indian regions, the climate is too hot. Thus, all ice cream manufacturers and sellers must have access to freezers. Once your product is all ready to hit the market, it is time to put some stress on promotion. It is about time you let the ice cream lovers know that a new product is about to come in the market that has something special for them. Do not forget to focus on the USP. When there is enough hype in the market, it is the perfect time to launch the product or open the store. Continuous improvements will come in handy to keep the clients on the hook. Offer new ice creams so that they keep coming back for more. Milk and milk powder, granulated sugar, cream, eggs and several ice cream flavors are required for making these amazing sweet creamy treats. These are available in small as well as large packs. The cost of these ingredients fluctuates from place to place and time to time. Milk, sugar and egg process tend to go up or down as per market conditions. In case you want to get these ingredients at low rates, then heading towards the wholesale markets is a good option. When you have to pay less for your ingredients, then your profits will go up automatically. Some tools like mixing bowls, whiskers, mesh strainers, saucepans and wax paper are easily available in the super market. These are not very costly and are easily found in kitchens. If you desire to start the business on a small scale, then purchasing mini ice cream makers is ideal. These can cost anything between Rs. 2500 to Rs. 7,000. In case you want to purchase a commercial machine, then you must shell out around Rs. 40,000 lakhs to Rs. 1 lakhs. You will also need an ice cream freezer. The cost of small commercial ice cream freezer starts around Rs. 72,000 and can go up to Rs. 3.5 lakhs. You can get these from suppliers or online from Indiamart. 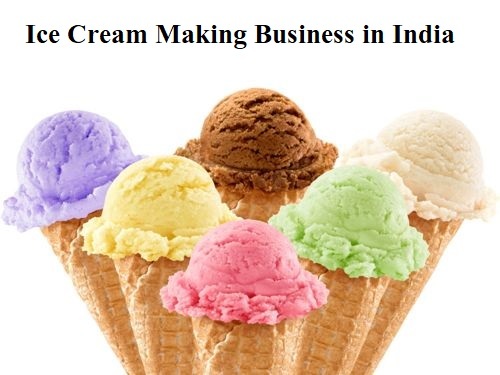 You must attain permits to manufacture or sell ice cream in India. Some are issued by the state government while others are under the jurisdiction of the central authority. In case you have a small scale business, then you may not require all these permits. If you wish to get a franchise or sell packaged ice creams, then you will attain permits easily. Company registration – Whether you opt for a franchise, or create your own ice cream brand, you need to register it accordingly. The preliminary registration needs to be done at the local trade offices. GST registration – Filling the documents to attain the GST certificate is another necessary step. If you do not fill this form, then you will not get the necessary permits. The GST permit is issued by the central government as well. Maintaining a GST account is mandatory for all business houses. Sale tax registration – If you open a permanent ice cream parlor, then you need to get sale tax registration papers. PAN card – Both ice cream truck owners and shop owners will have to opt for a PAN card, issued in the name of the company. The PAN card will give authenticity to the business. You will have a proper representation in the government books. Bank account – If you want to maintain a separate bank account for the ice cream business, then you must open a bank account. It will make matters easy when your business picks up. 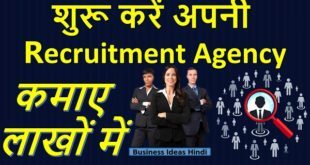 FSSAI License – In case your ice cream truck or parlor succeeds in making a yearly turnover of 12 lakhs or more, then you need to attain the FSSAI permit. The license is issued by the central government’s Health and Family Welfare Ministry. It will ensure that the food quality is good and appropriate for consumption. The size of the ice cream manufacturing unit and the amount of product you desire to manufacture daily will dictate the number of employees. Apart from the owner and manager, a small unit will suffice with 4 workers to tackle ice cream production and packaging process. If you only have a small shop, then 2 workers will be sufficient to run the selling operations. A person who has both manufacturing and selling units can function with 5 to 8 workers. How to select location for your business? Proper supply of amenities – You must always pick a location that has easy supply of electricity water, and transportation. Without these, the ice cream manufacturer or shop owner will face several problems. Adequate exposure – Opening an ice cream store in popular places will enhance your chances of sake and profit. Malls, schools, colleges, and crowded places are ideal. Ease of accessibility is a must for good business. Less competition – It is better to pick a location that does not have an ice cream store. It will ensure better inflow of customers and more profit. Low expenses – It is better to start your manufacturing unit at a place that will offer all necessary ingredients at low cost. It will have a direct and positive impact on your selling price, and overall profit. There are no extra points in guessing that opting for a franchise is smooth, but the expenditure will be high. Most reputed ice cream manufacturing companies may charge anything between 3 lakhs and 5 lakhs. The amount varies from one company to another. If you do not desire to spend so much, then you must manufacture and sell your own ice creams. A rough estimate suggests that you will be able to arrange all equipment, supplies and start production with as much as 1.5 to 2.5 lakhs. The amount might vary from one state to another. If that sounds too much for you, then starting a small scale ice cream manufacturing business will cost no more than Rs. 70,000 to1 lakhs. How to decide the selling price? Your location – Location of your store plays a massive role in determining the cost of the product. An ice cream parlor in the posh shopping mall will fetch more money than a simple ice cream truck. Total cost of ice cream manufacture – In case you desire to make a handsome profit on the products, then you must keep the ice cream manufacture cost in mind. If the cost of manufacture is high, then the selling price will be high as well. Packaging and promotional costs – Apart from the actual manufacture process, the packaging cost will also have some part to play in determining the total selling price. Promotional investment must be recovered by selling the product as well. Taxes levied on the product – Lastly, the taxes that the central and state government takes from the ice cream sellers will also play a part in fixing the selling price, If taxes are high, then sellers will increase the ice cream price to keep maintain a profit. The selling price of ice creams depends on several factors. The profit margin for franchise owners is a bit low, as they need to give a certain percentage of the total sale amount to actual ice cream factory. But surveys suggest that a small independent ice cream shop owner can anything between 20% and 40%. It varies as the cost of ingredients is not same in parts of India. People in urban areas may pay Rs. 130 for one scoop of chocolate ice cream. But you cannot expect the same response in outskirts and villages. School, college and office canteens – Children as well as adults cannot resist these creamy treats. Brand promotion and sale will be enhanced if you succeed in sealing a deal with canteen owners at schools, colleges and offices. Cafes – Cafés selling cold or hot beverages, keep a number of options, which include the use of ice cream. Thus, café owners can also become potential customers. If the customers like the taste and quality of your ice cream, then café managers will contact you again and again. Restaurants – Both big and small restaurants feature ice creams in the dessert section. No meal is complete without something sweet. Thus, you can also sell your products in such eateries. Popular hangouts – Malls, movie theaters, museums, or any other popular hangout, where footfall is high is a potential ice cream selling turf, in case you operate from an ice cream truck. Fairs – Carnivals are another selling opportunity for ice cream sellers. People want to dig into something sweet and savory after enjoying the thrilling rides. So, you will find lots of takes for your product. Event planning agencies – Wedding, birthdays, housewarming parties, and other parties must have ice cream on the menu. Sealing a contract with even planners will give several opportunities for a good sale. Distribute pamphlets – Hand-to-hand pamphlet distribution will never go out of fashion. Design the handouts attractively so that people take a look at the content before throwing it away. Advertisements in audio-visual media – Television and radio commercials is a good promotional technique. Catchy jingles send pertinent information to target audience. Online promotion – Publishing online ads is also a good way of attracting the attention of target customers towards your ice cream shop or truck. Target those sites which have good traffic. Tap into social media – Do not forget to post amazing pictures of ice creams on your social media accounts and share the links with others. Maintaining separate accounts, in the name of the ice cream brand, on social media is also ideal. Print media ads – Local newspapers and magazines are potential promotion channels as well. They will come in handy to give you proper exposure in local market. Vehicle ads – Pasting small ad pamphlets at the back of public transports is a good way to promote your new ice cream parlor or brand. The vehicle travel all over the area and more people will be exposed to the ads. Like most other businesses, ice cream trade is also subjected to several risk factors. Some are seasonal and cannot be controlled by the shop owner. Others are artificial and steps can be taken to ensure that these risks do not do too much harm to the business. South and central Indian states have nine months of summer. Thus, it is easy to ascertain that demand is high. But ice cream manufacturers fail to amass a high profit as these areas suffer from long hours of power cuts. Not all owners can afford an inverter. Apart from this, the discrepancy between supply and demand is massive. Most individuals have personal preferences and are not ready to try new flavors. Proper planning and management will come in handy to minimize these issues. How to start 3D printing business in India?